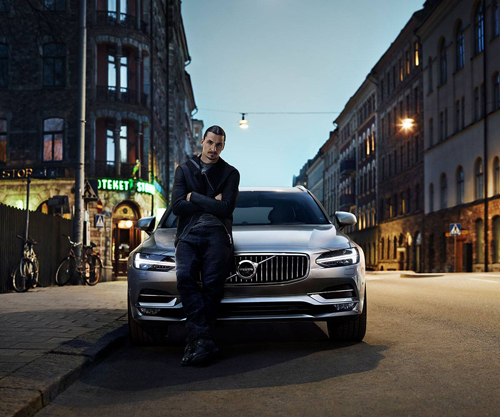 The location of this photo with Zlatan Ibrahimović is Styrmansgatan near Storgatan on Östermalm in Stockholm. 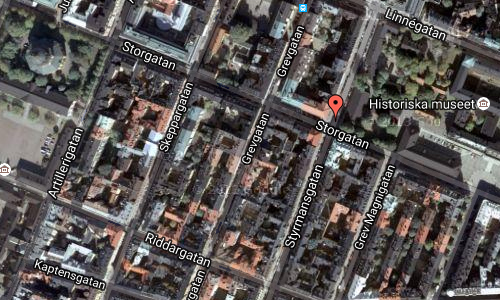 Zlatan owns a house in this area of Stockholm. In the background the known pharmacy ‘Apotek Storken’ is shown. 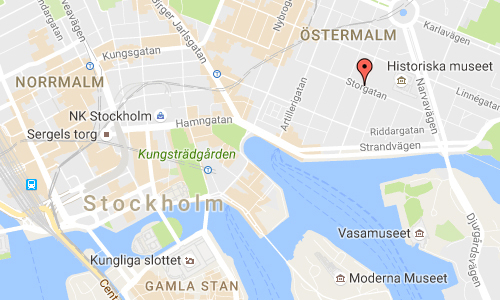 Styrmansgatan Östermalm, Stockholm, runs between Strandvägen and Karlaplan. It received its name in early 1640 due to the relation with shipping and sea people. The name relates to the role of navigation officer on a ship. 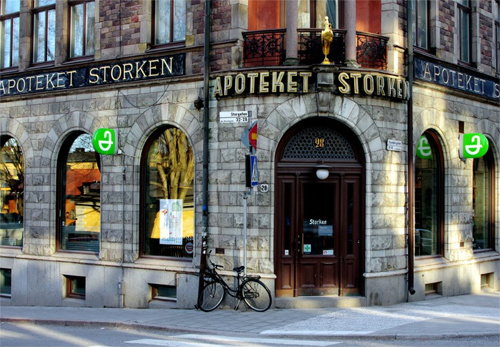 Apotek Storken is a pharmacy at the corner Storgatan and Styrmansgatan on Östermalm, Stockholm. The house was built between the years 1897-1899 by the architect and builder Hans Jacob Hallström (1840-1901) after his own drawings. The house has a well-preserved electric lift, which was among one of the first in Sweden. 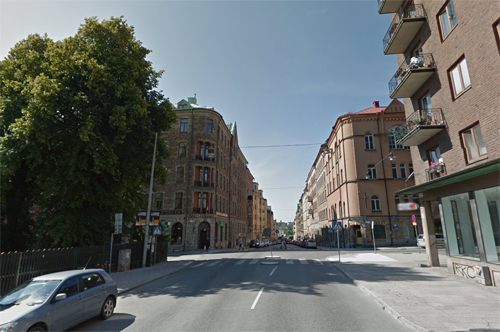 Stockholms stadsmuseum has classified the building as a historical and inalienable and according to the National Heritage Board’s assessment is that the pharmacy historically most valuable in Sweden.